IKEA SPOTTER: Repo! - what is in those jars? Repo! - what is in those jars? 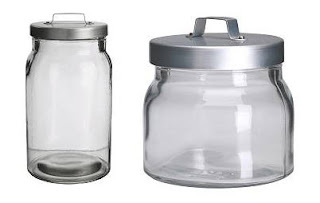 Remember yesterday I mentioned how the BURKEN jars are becoming a frequently spotted item? This is what BURKEN jars look like - note the lid. The jars were the only things I could find in this musical. It was certainly a visual as well as aural film. Even call girls shop at IKEA.